And here we are. Christmas over and done, 2019 has arrived and the second half of the season is eagerly awaited! Since we last spoke we have experienced a mix of emotions on the cricket field with some sub-par performances along with some feelings of elation! Following on from our 1st Blog, we suffered a convincing defeat to league leaders Burleigh as they skittled us for 88 and chasing with the loss of only 4 wickets. It had seemed that this loss stumped our recent run of good form as we continued on to lose the following two games. In and amongst all of this, Max and I finally had our first taste of traditional Australian Saturday-Saturday cricket. Faced with a Mudgee side known for their negative style of cricket, we had a 15 minute team chat discussing the best possible approach should we win the toss... lo and behold we lost it again and we were handed the ball. Apart from the Mudgee No. 3 who held stern to earn a very respectable 82, wickets seemed to fall at regular intervals; so much so that my first spell, that included 4 victims, continued on for 15 overs... (Sorry Baz!). Once I came back on to bowl we had the visitors 150-7 with Max and I set to bowl at either end. 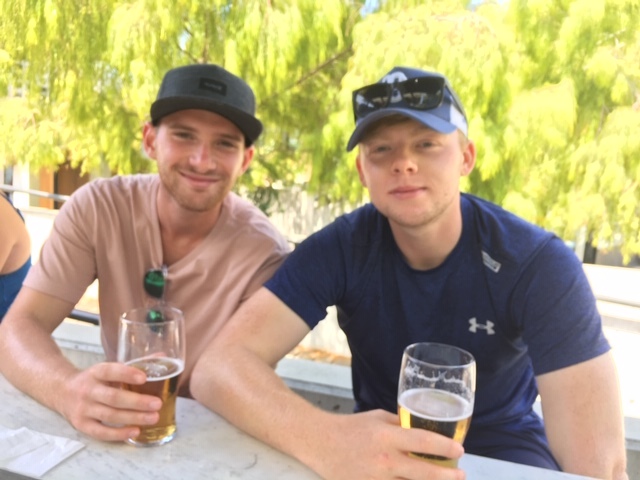 Myself only needing one wicket for my first 5fer down under, you would sure bet that Max would help do me a favour at the other end... Max - 4 wickets, Luke - 4 wickets. Close of innings. As we declared early on the second day with a lead of 99, our total 262-6d looked strong! The task was set. Bowl them out again and have enough time to chase any possible lead they may stack up. The game seemed to slowly drift away until we took a couple of quick wickets late and we had them 138-8... or should I say all out! As it happened, 2 of their players had decided to do off early thinking the game was a stalemate, meaning 8 wickets was all that was required. Due to this, we had 19 minutes to chase 40! Cue some rather bizarre Gold Coast ruling. As the last hour had already begun for the innings prior, they only needed to bowl 2 overs in 19 minutes?! Despite our feathers being ruffled due to the strange circumstances we had to head out and ‘give it a bash’ - pun intended. Although they had completed the requirement, Mudgee decided to bowl a fourth and final over with 19 required. Enter 17 year old Zane Beattie. Zane struck 21 off the last five balls including a 6 off the last to complete the unthinkable and seal the an outright win! An outright is so greatly sought after in the two day format but very rarely accomplished! Our final game was another hiccup in that we lost away to the an Alberton side that were par at best. Another less than impressive display from our batting line up meant we left ourselves with a little too much work to do once more. Despite the defeat we still remain very much in the hunt for a prestigious top four spot in what is proving to be a very tight ladder. From Max and myself we hope that everyone back home had a wonderful Christmas and wish you all the very best for 2019! Our sincerest apologies for the lack of consistent blogging; something that we shall look to amend as the weeks follow. Signing off from the South. PS - we've enjoyed some Aussie Big Bash cricket over the past few weeks. Here are a few pics! 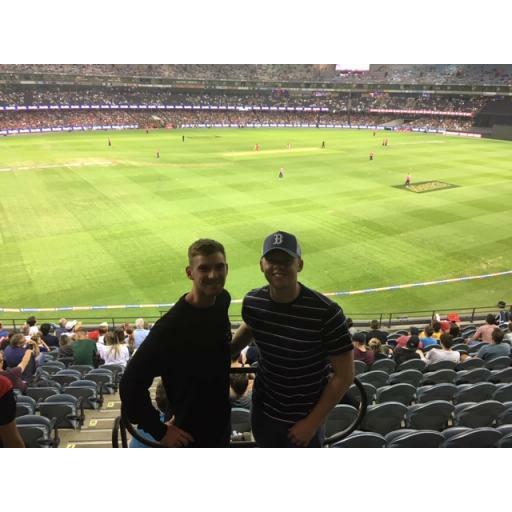 Photo 1 at the Melbourne Marvel Stadium (previously known as the Ethihad Stadium), were we saw ex Newcastle CC player Josh Phillipe and England's Tom Curran of Sydney Sixers beat the Melbourne Renegades. 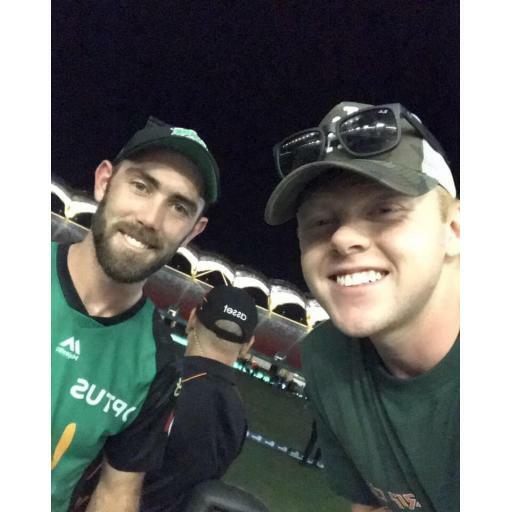 Photos below are from the Gold Coast Metrocon Stadium after the Melbourne Stars game v Syndey Thunder, can you recognise the Aussie internationals who wanted their photos taken with us both? Glen Maxwell and Marcus Stoinis for the uninitiated!